What will my child need to take part in Forest School? To take part in Forest school learning sessions your child's school may request you to bring in the following items of clothing. However, many schools do provide waterproof trousers and jackets for children, but it can make the experience more personal and easier if your child has their own. It would be beneficial for out of school and weekend activities if your child had a waterproof outfit. 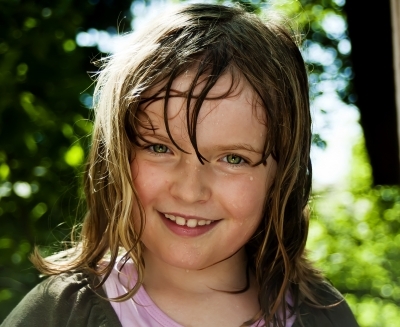 Children love exploring woodland environments- splashing in puddles, making dams and bridges in shallow streams, mixing mud pies and climbing trees so having such clothing will encourage you to provide such experiences for your child. There are many woodland environments and children can even take part in Forest School type activities in their back garden with some simple planning. A favourite Forest School activity among young children is 'mud painting' which involves the child creating their own mud paint by digging up some soil with a child sized trowel putting it in a small container and then mixing in some rain water. The child can then create their own marks, patterns, letters and numbers on tree trunks, pebbles, pathways and leaves. This is a great activity for hand-eye coordination.